Ash London and Angus O’Loughlin are set to follow in the footsteps of former stablemates Kyle Sandilands and Maz Compton. MTV has signed the Hit Network hosts to front a revival of MTV Total Request Live (TRL) to premiere on March 8. “I grew up on a solid diet of MTV memorising Britney moves and dreaming that one day I’d be part of that world,” said London. “Music is my number one passion and as soon as I heard that TRL was coming to Australia I knew I wanted to be part of it. Hosting it with Angus is a bonus… we once got married in Vegas so I feel like hosting a show together on MTV is the natural next step”. O’Loughlin added that he’s “stocked” to be paired with London. 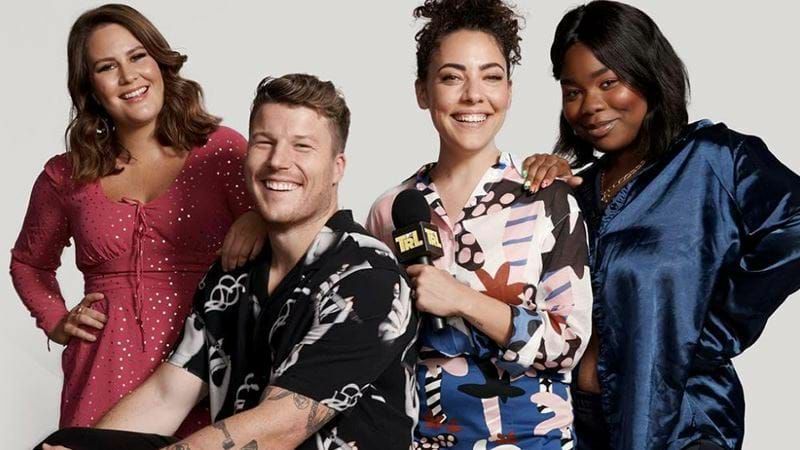 Two new faces will also join Ash and Angus – DJ Flex Mami, and MTV.com.au editor, Lisa Hamilton – with each episode to feature live performances by local and international musicians and celeb interviews. It’s been 15 years since the show first aired in Australia, a run that lasted three years with hosts Kyle Sandilands, Maz Compton, Jason Dundas, Lyndsey Rodrigues and Nathan Sapsford. I’m glad someone is excited. The US relaunch went for 13 months before being pulled. Good luck.